Yavapai College student Samuel May is a 31-year-old single father who never graduated from high school. After receiving his GED through YC, he decided to reach out to Academic Advisor Max Bledsoe, who, along with YC staff member Stephanie Wiltcher, encouraged May to apply for the Freeport-McMoRan apprenticeship program. Freeport, an international gold and copper mining concern, operates sites in Bagdad and Morenci. YC’s Advanced Manufacturing Technology program is designed to teach students marketable skills in high-tech, automated manufacturing processes that incorporate innovative technologies to improve production of product from design to manufacturing stages. The college’s Career and Technical Education Center (CTEC) provides students with hands-on training, using state-of-the-industry equipment and expert instructors. This combination gives program graduates a chance at employment with greater longevity and earning power. Additionally, the ability to obtain their training within Yavapai County is a benefit to those who would find it difficult to relocate to a new area. Located near the Prescott Airport and next to Ruger, CTEC sits on an eight-acre site and houses programs within a 108,000-square-foot facility, including Autobody, Automotive Technology, Aerospace Science, Applied Pre-Engineering, Diesel Technician, CNC Machining, Electrical and Instrumentation, Fire Science, Gunsmithing, Integrated Systems Engineering and Welding. Yavapai College CTEC Campus offers students paid apprenticeship and internship opportunities each semester. If you would like to discuss the possibility of updating your employment skills, Yavapai College is here to help. Contact me about Yavapai College Career Coaches at 928-776-2170, or James Voska at 928-717-7726. 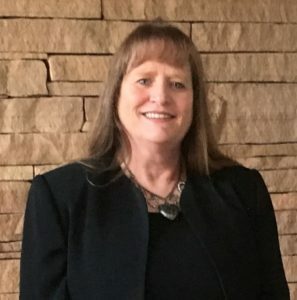 Linda Brannock is a Yavapai College Career Coach. She can be reached at Linda.brannock@yc.edu or (928) 776-2170.